For the first time ever DC hosted a women’s trip to their DC Area43 in Meribel. A handful of ladies from the action sports industry and creative industry enjoyed a taste of the DC lifestyle. 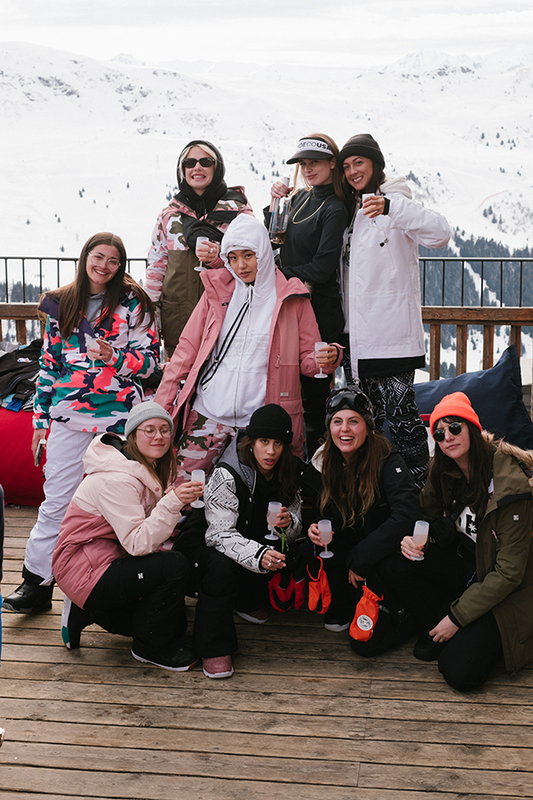 Press Release: This March saw the first ever women’s trip to DC’s iconic chalet, DC Area43 in Meribel. and took them to Méribel for a chance to experience snowboarding and the DC lifestyle first hand. Attendees including skateboarders such as Aimee (Skate Middleton), Rianne Evans, Deimante, and influencers such as Juice Gee, Kicki Yang and Jessica Woodley. The girls embarked on an action packed 4 days experiencing the DC lifestyle at the one and only DC Area43.